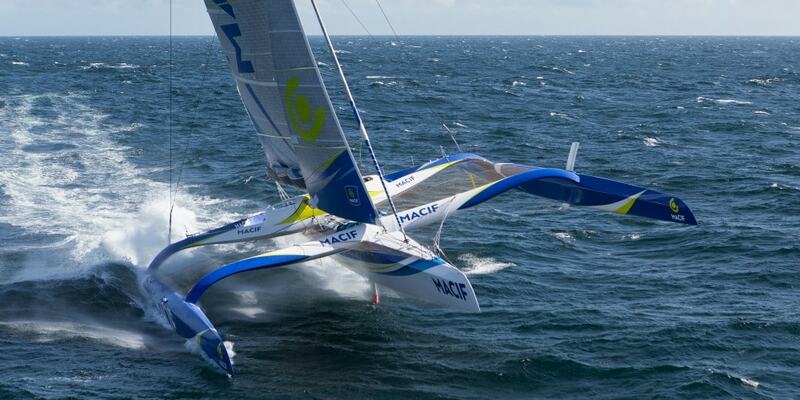 Round the world solo: François Gabart and the MACIF trimaran are off! 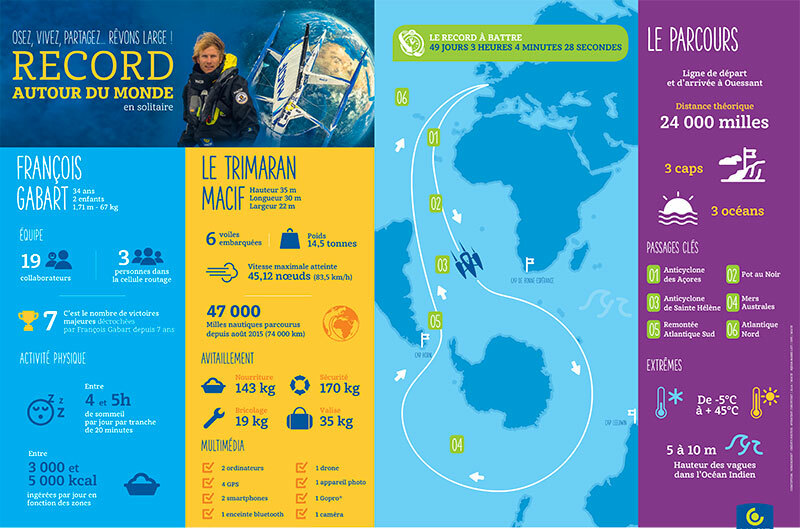 Home/Adventures/Round the world solo: François Gabart and the MACIF trimaran are off! 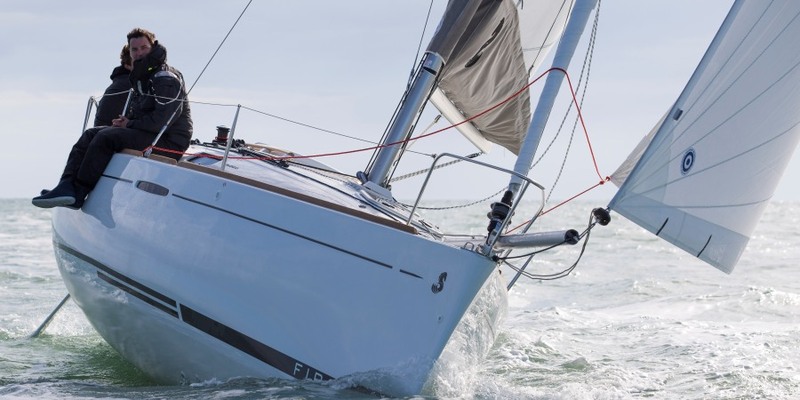 On standby since 22 October, François Gabart cast off today, Saturday 4 November, at 10.05 (French time, UTC+1) to take on the challenge of the single-handed round the world record. 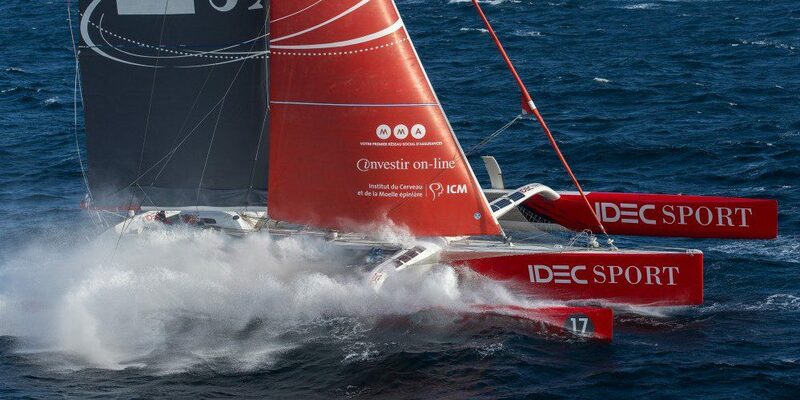 The MACIF trimaran skipper left his home port of Port-la-Forêt, on Friday evening, to make his way to the round the world starting line located between the Créac’h lighthouse, in Ouessant (Ushant), and the Lizard Point lighthouse in Cornwall, England, before setting sail in an 18-knot north-westerly. To beat the record, held since 25 December 2016, by Thomas Coville in 49 days, 3 hours, 4 minutes and 28 seconds, François Gabart will need to cross the finishing line before 13.09 on 23 December (French time, UTC+1). 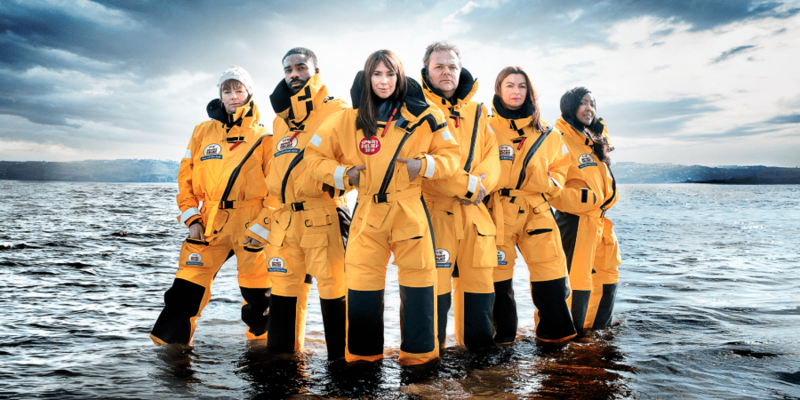 In addition to working relentlessly to push his 30-metre trimaran as hard as he can, he will also need a sequence of favourable weather conditions, starting with the weather he will meet on the first run to the equator, which Thomas Coville crossed last year in 5 days, 17 hours, 11 minutes and 52 seconds.